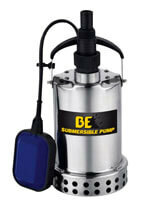 Submersible water pumps can be found in many applications. 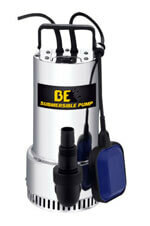 Smaller electric submersible pumps can used for drainage, sewage pumping, and slurry pumping. The device uses hermetically sealed motor that is close coupled to the pump body. 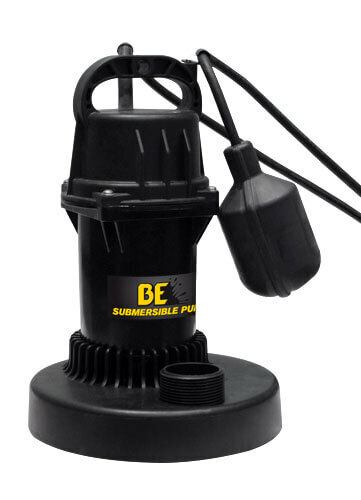 The whole submersible pump assembly is submerged in the fluid to be pumped. 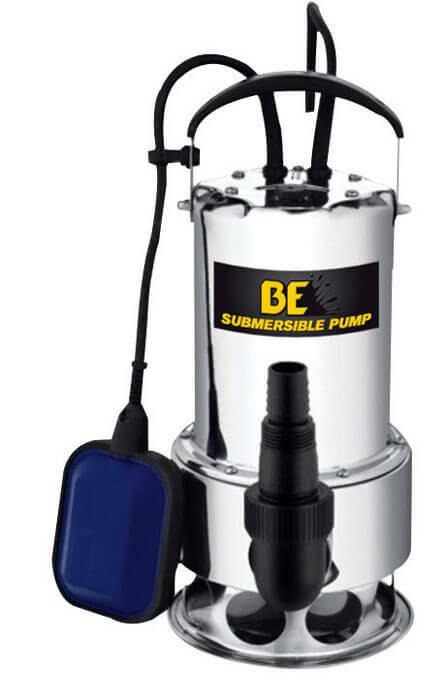 The main advantage of using this type of a pump is to prevent pump cavitation, a problem associated with a high elevation difference between the pump and the water surface. A system of seals are used to prevent fluid being pumped from getting into the motor and causing a short circuit. 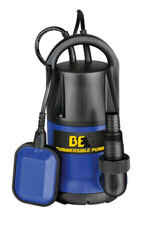 The pump can be connected to a pipe or flexible hose. Simply drop the submersible water pump into the deepest water and turn the system on. Do not allow the pump to run dry to avoid damage to the impeller. 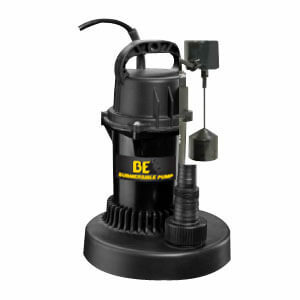 We do offer other water and trash pumps that could be used an alternative to move water quickly. 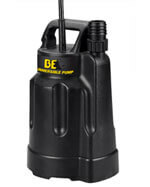 The basic difference is that these pumps are very portable and can easily get into areas the other pump types may not have easy access to. 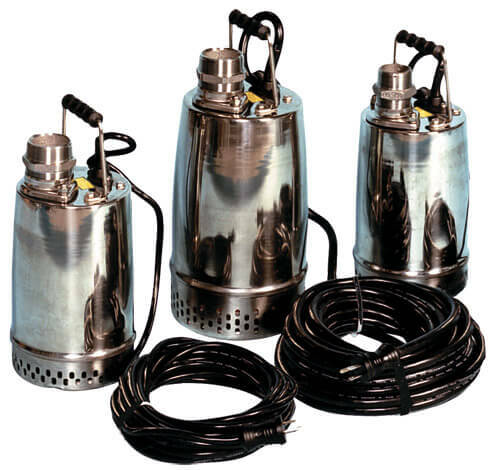 Slim design, light weight CSA listed submersible water pumps feature top charge as well cat iron impellers, 304 stainless steel casing, motor housing, shaft and hardware. Pump motor is thermal overload protected. 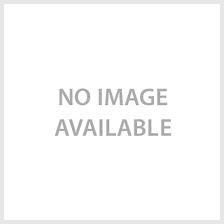 An optional piggyback mercury free float switch is available. Float switches have a piggyback plug molded to the cord allowing the pump motor to plug into the cord and then plug the entire assembly into a standard grounded outlet. These contractor grade submersible pumps are intended for use in residential, commercial, and industrial settings. 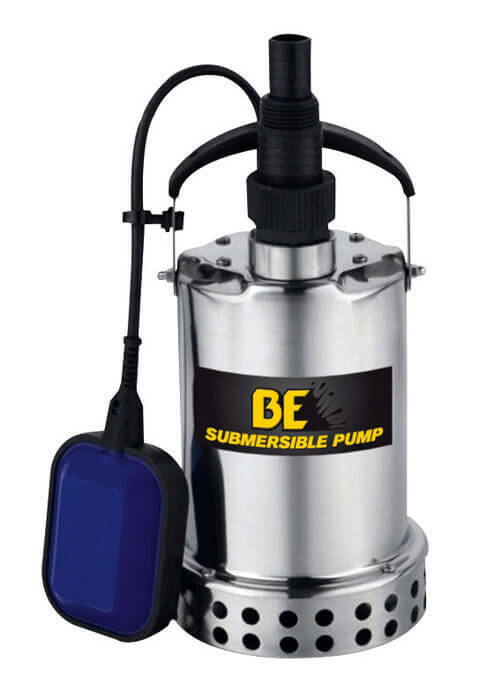 Common applications for this pump are construction sites, waste water, storm water, farming, irrigation, excavation, mining, marine, basement, and other general drainage application involving sediment laden liquids with solids up to 3/8” in diameter. Self cleaning impeller featuring abrasion resistant hi chromium steel construction for maximum durability. Pumps have an electric motor that requires field wiring since there is an unfinished power cord so the electrician can install as needed what your setup requires. 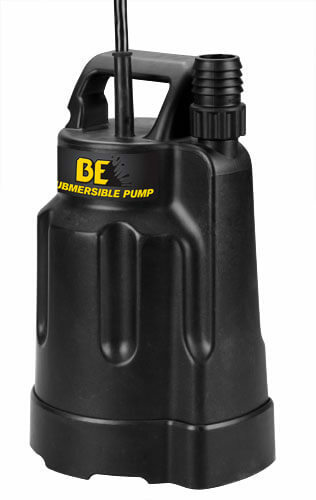 Submersible water pump is easy to use, it is self primed, efficient and can be used with pressure pumps. Read more about Submersible water pump advantages and benefits.